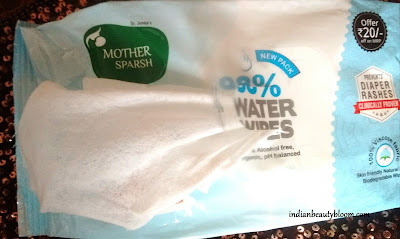 Mother Sparsh is an Indian Ayurvedic brand which has some good baby care products in it’s range . one can check here . 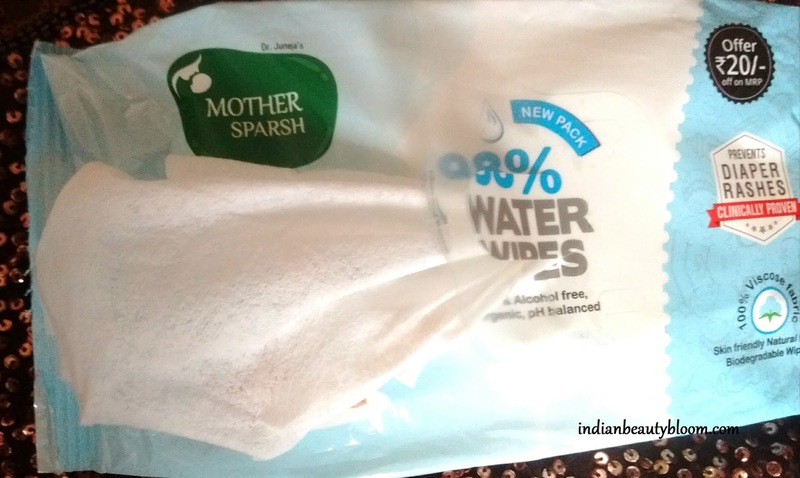 This Mother Sparsh Water Baby Wipes is 98% water wipes . Enriched with Aloe Vera and Vitamin E , its ideal for baby’s skin. Wipes are packed in a pull off package and quite easy to use. After taking out required number of wipes , one can seal the pack so to maintain freshness. 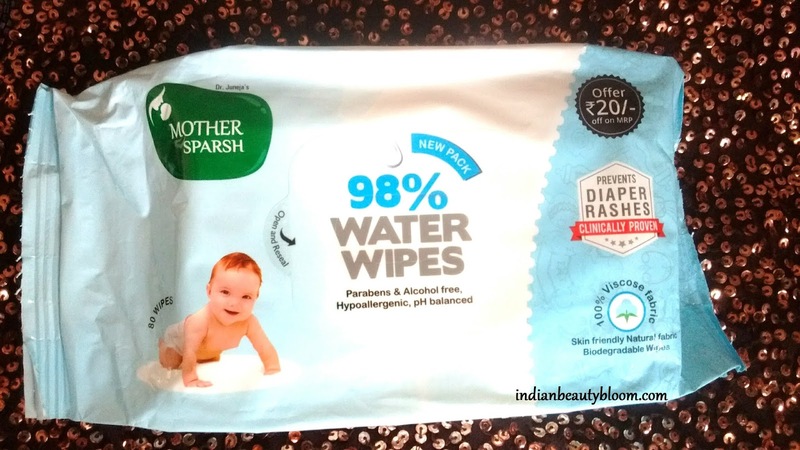 These wipes are quite thick and do not get teared while usage. And are good enough to clean baby’s skin . It has some excellent ingredients like Jojoba Oil , Castor Oil , Glycerin all of which are good for skin. 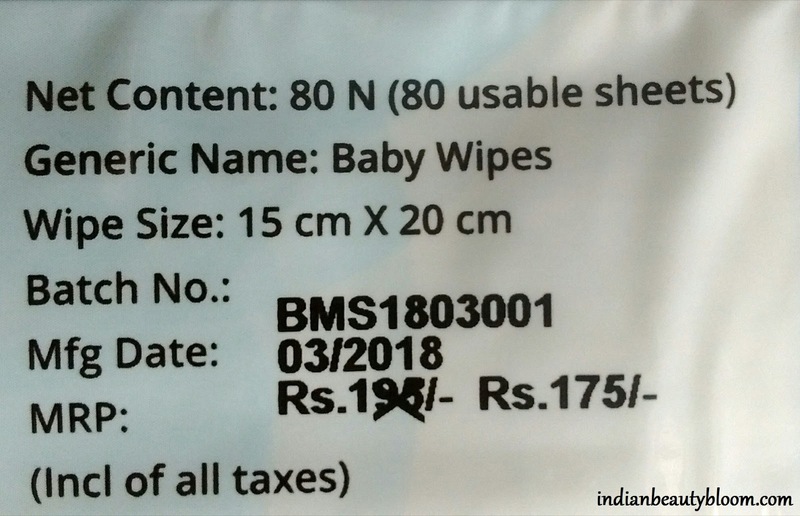 Price : Rs 175 for 80 Wipes . 1. 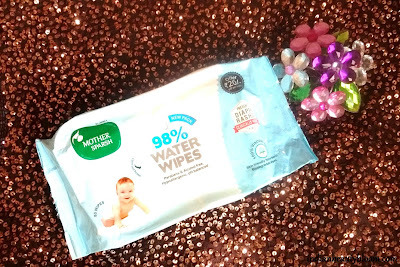 98 % Water Wipes so as good as cotton and water. 2. Free of Alcohol , Parabens. 3. Made from 100% Plant Fabric. 4. Its PH balanced so safe for baby’s skin. 5. Has Jojoba Oil , Castor oil , Vitamin E.
9.Quality of wipes is too good . I tried these wipes myself first and found them good . 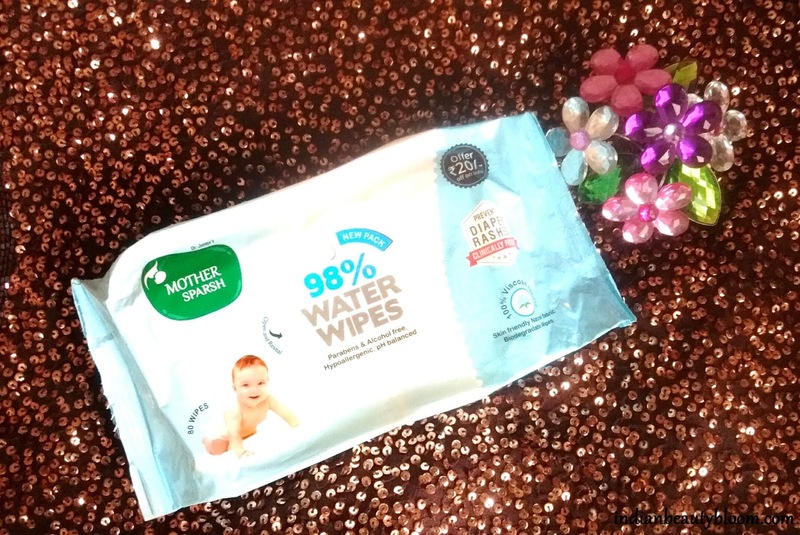 These wipes are thick and can clean skin gently . 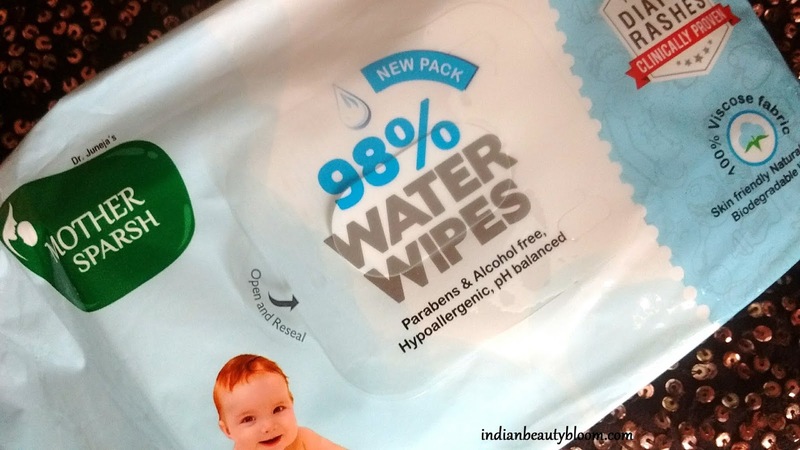 So one can use these wipes for small kids and infants without worrying about skin allergy or rashes as they are safe to use even for newborn babies. 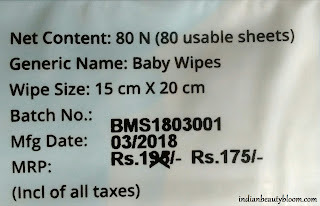 One can buy these wipes from online stores like Amazon. Do share your views if you have tried products from this brand .